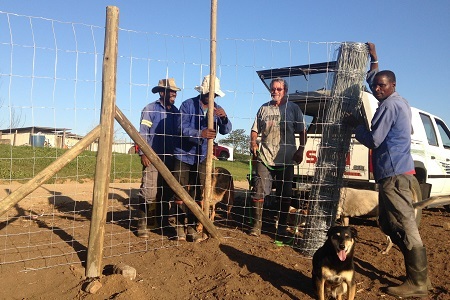 Roy and his crew have finished the fence! It took teamwork to hand stretch the fencing onto the posts. 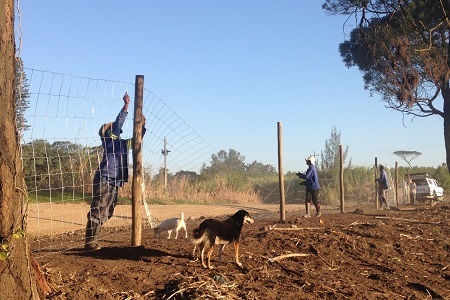 When we left South Africa in March, the undone fence weighed heavily on Roy, so we are ever so thankful to have had this added time to complete the project.